Cherry Hills Village real estate market is thriving just like the rest of Colorado. The market in Cherry Hills Village has been rising in appreciation just like the rest of Colorado. The inventory is low as well. The average home sale price over the last 12 months have been close to or over $2,000,000 every month for the trailing 12 months. 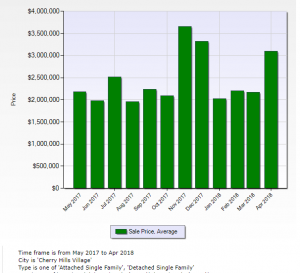 The home value in Cherry Hills Village have been increasing in value along with the rest of Colorado. Most of the town can be considered luxury homes. Cherry Hills Village has a long and interesting history since 1938. It has had its ups and downs through the times. It (just like a great deal of towns near Denver) was harnessed and subject to annexing and hostile take overs of areas by the City of Denver. Denver has always been a city that tries to take over other communities for purpose of more taxes and less upkeep. Denver has done this all the way to the mountains. Denver owns a lot of property in areas like Evergreen. Cherry Hills Village would have nothing to do with Denver’s bullying and hostile and aggressive tactics. Now Cherry Hills Village is one of the wealthiest towns in the United States, and Denver is…. Well Just Denver. Cherry Hills Village is just a few minutes from Denver. With a population of about 6,500. Cherry Hills Village is a self governed town located in Arapahoe County. Cherry Hills Village is a great community with events like Clean up and Shred Day in May, Exotic Car Show in June, Summer Movie Night in August and Winter Celebration in December. The homes for sale in Cherry Hills Village range from $1.5 Million to $18 Million in 2018. There are a nice amount homes for sale in Cherry Hills Village. The inventory is a much lower than 5 years ago. The inventory is lower than just a year ago. 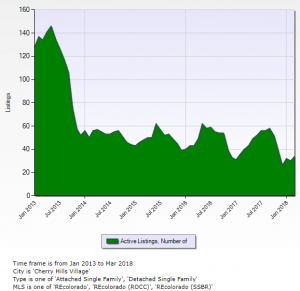 With about 38 active listings today as apposed to almost 150 active listings a little less than 5 years ago. 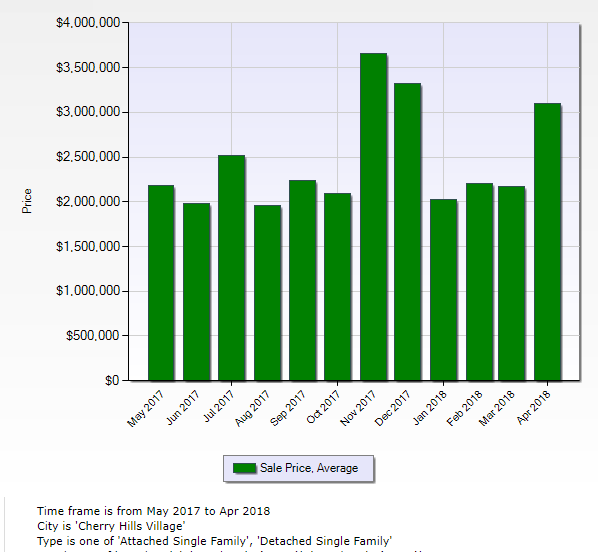 With inventory dropping at this many units the supply and demand has certainly increased home values in Cherry Hills Village. Orson Hill Realty is a real estate company that can help you as your listing agent in Cherry Hills Village or buy a home in the area. As luxury Realtors Orson Hill Realty is your best choice for Cherry Hills Village real estate.